OMG I'm so excited about this! 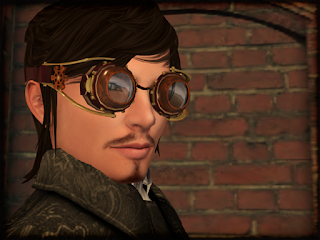 I posted about the (pretty advanced) WIP a couple of days ago; my steampunk goggles are now finished, optimized as well as I could, and live on the grid! Do I like them? Well, I can't stop taking pictures of the bloody things, that's how much I like them. I'll just copy the product description below, for the sake of appearances, but basically what I really want to say is: OMFG!!!! I MADE THIS!!!!!!!! Ahem. Are you a mad genius? An unstoppable tinkerer? Do you dream of tesla-coiled sheep at night? 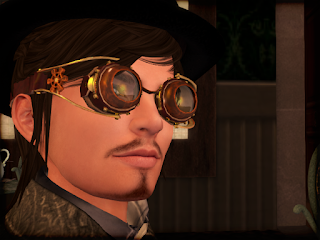 Then this sturdy pair of steampunk goggles is for you. For the tinkerers out there: the leather straps and the main goggles are two separate objects, which should make it easier for you to play with. 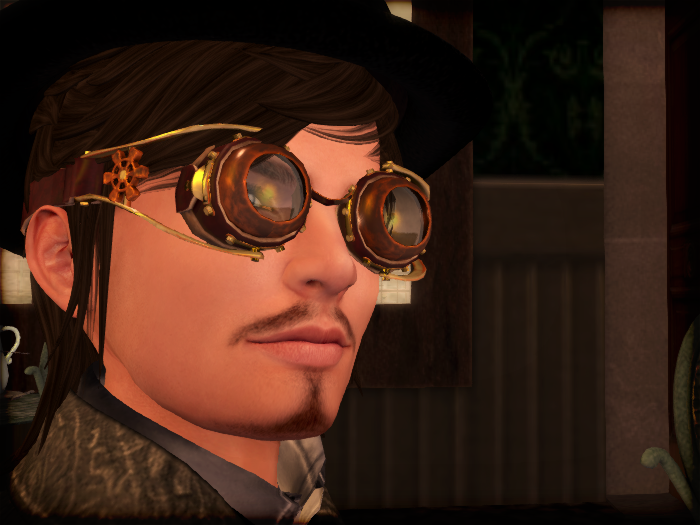 The goggles will show as no-mod in your inventory, but that's just because of the script inside - the mesh itself is definitely mod-friendly! 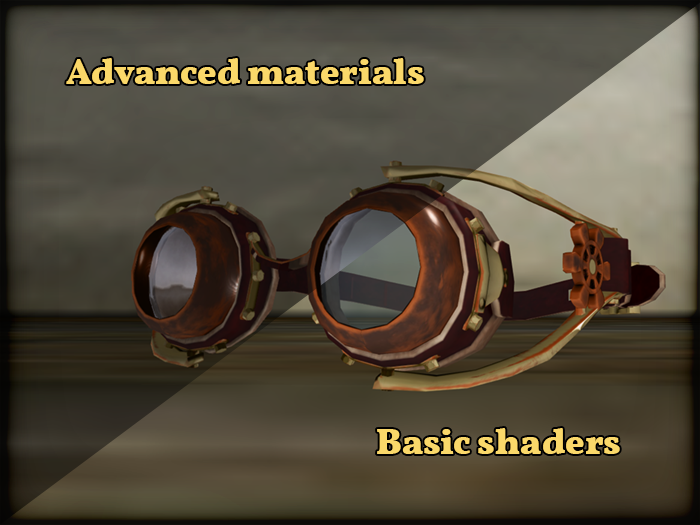 Finally, the Steampunk Goggles use advanced lighting materials, but the diffuse is baked in such a way that they look good with basic shaders as well. 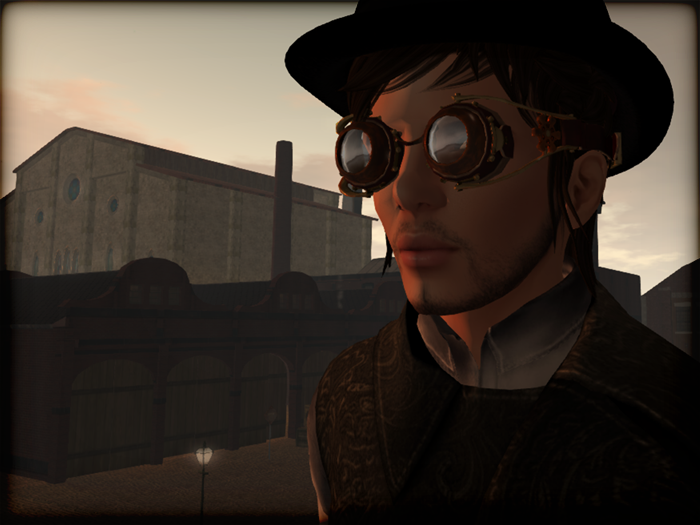 They're inworld and you can also get them on the marketplace (full version - demo).